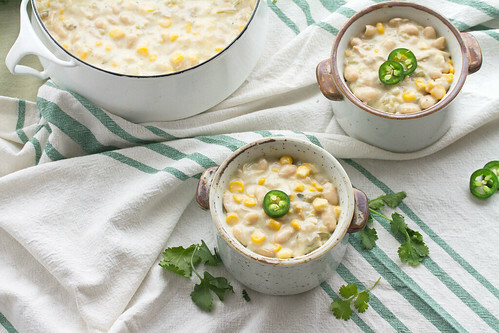 Did you know white chili is actually a thing? Maybe it’s just that I had a deprived childhood, but I didn’t even know chili came in any colour other than red until I was in my early twenties. A friend’s mother had sent her home with a big container of white chicken chili (because, like all mothers of twentysomethings, she was pretty sure her daughter was living off ramen and takeout food), and my friend was kind enough to share the bounty with me. It was totally unlike any chili I’d ever had before – creamy and mild, but still incredibly flavourful thanks to big chunks of chicken, creamy white kidney beans and lots of chopped green chilis in a thick cumin-laced sauce. In other words, totally the opposite of a traditional Texas chili, which is basically nothing but beef and tomatoes and lots of spice. Despite those differences, it was still a wonderfully satisfying dish for a cold winter’s day. I never got around to asking for my friend’s mom’s recipe, but I eventually managed to come up with something that’s pretty darn close. And seeing as today is National Chili Day (yes, that’s also a thing! ), I figured I’d finally get around to sharing it with you guys, because everyone deserves some of this deliciousness in their life. 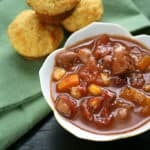 My version has corn (because chili is always better with corn), and I’ve made it extra-chunky so that you don’t need to add anything else to have a hearty stick-to-your-ribs meal (though I won’t judge if you want to add a generous chunk of fresh-baked cornbread… because chili is always better with cornbread). And, because chili’s not chili without a little heat, I added in some fresh jalapenos to give it just a teensy hint of spice. It won’t set your tastebuds on fire or anything… it’s just a little hey-howya-doing. 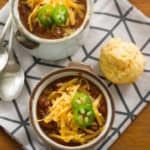 When it gets right down to it, my heart will always belong to an old-school Texas-style bowl of red, but there’s plenty of room in there for a milder, cozier kind of chili too. I’m easy like that. 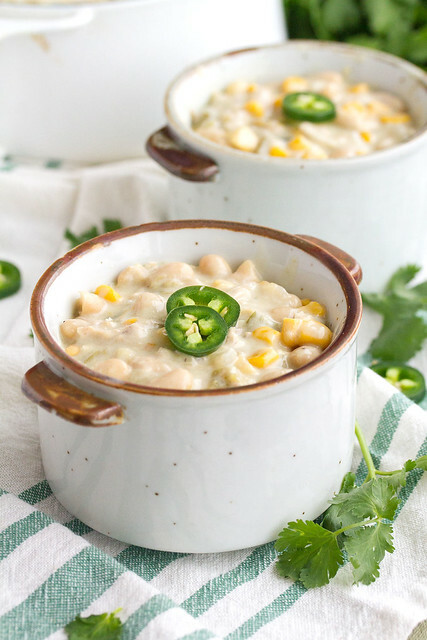 This creamy white chicken chili is chock-full of shredded chicken, white beans, green chiles and corn in a thick, creamy sauce. It’s a great change of pace from the usual tomato-based chilis. In a large, heavy-bottomed pot set over medium-high heat, saute the onions and jalapeno in olive oil until the onions are soft and translucent, about 5 minutes. Add the garlic, cumin, salt and pepper, and continue cooking until fragrant, about 1-2 minutes. Stir in the chicken broth, cooked chicken, beans, and canned chilies. Bring to a simmer, then reduce the heat to low and simmer, uncovered, for 30 minutes. Stir in the corn and sour cream, and simmer for 5 minutes longer to heat through. 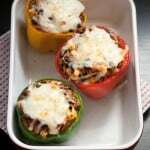 Serve right away with your toppings of choice. White chili not your thing? 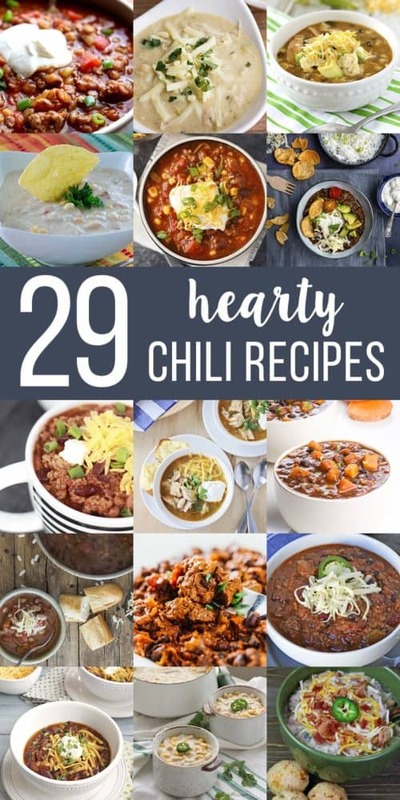 I’ve got 29 delicious recipes to help you celebrate your love of chili, ranging from super-spicy to super-meaty to vegetarian (and even vegan!) versions. So when, where & what kind of & how much CORN? Ooops. Good catch, Katherine! You add a whole can of kernel corn in the last 10 minutes of simmering (or 1 cup of frozen corn niblets, if you prefer). I’ll fix the recipe ASAP. 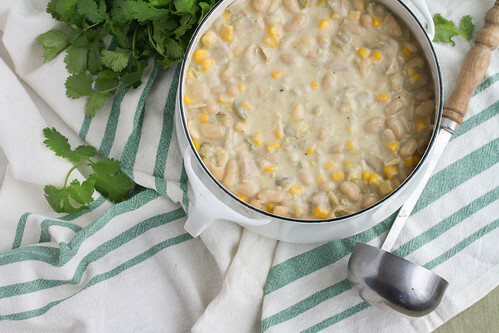 Oooooh this looks so good…I love white chili! And thank you so much for the shout out Isabelle! 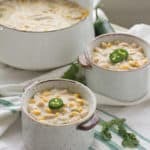 I don’t have a good white chicken chili recipe that I love, I can’t wait to try this one! I didn’t know about white chili until my 30s! I was missing out all these years. Your recipe looks wonderful. This looks so good! I don’t remember ever having white chili as a child, but I love it as an adult. I’m excited to try this one! 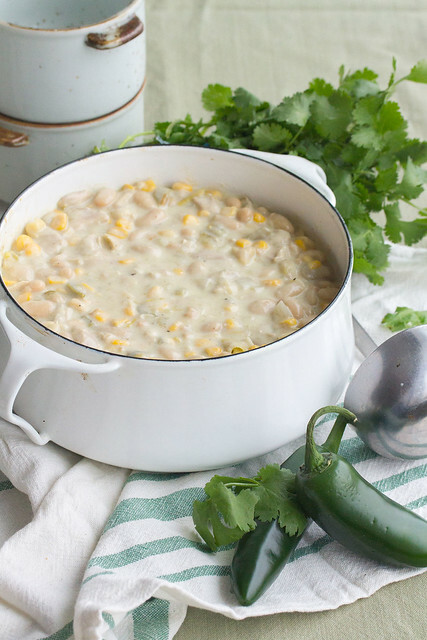 I love white chili and the corn in this one is calling to me! It looks so comforting and delicious! YUM! YUM YUM! It looks so good! I’m from a small town in podunk Missouri and I’m pretty sure white chili never had it’s heyday there. Although it probably should have because all we ever ate were white things, like potatoes and rice. So, I get where you’re coming from. 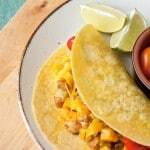 I’ve added your recipe to my pinterest board, recipes I gotta veganize. Oh, and happy National Chili Day! White chicken chili is a favorite at our house. I love that it’s simple enough that my boys can make it! This is my next Chili recipe I want to make, looks and sounds amazing.